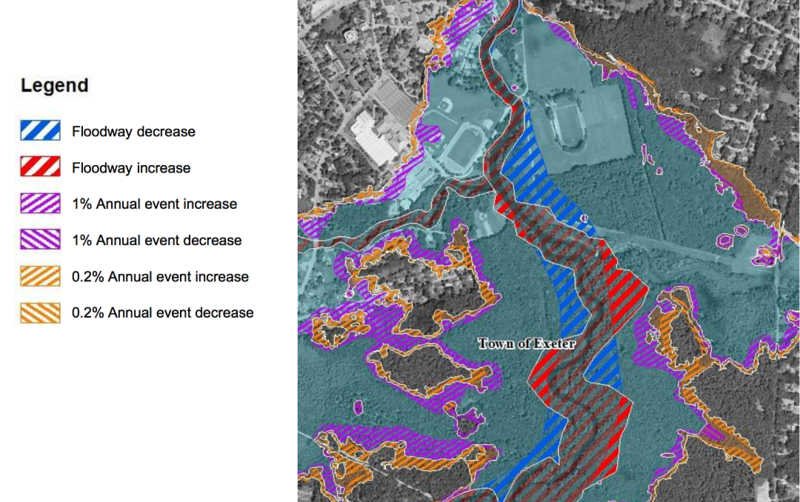 The objective of this project is the creation of new Digital Flood Insurance Rate Maps (DFIRMs) and Flood Insurance Studies (FISs) for the downstream portions of the Piscataqua/Salmon Falls Basin (HUC 8 Watershed 01060003), including the ocean coastline in NH. The study area comprises 239 square miles and includes the 17 communities that lie within NH’s designated Coastal Zone. High resolution LiDAR topographic data was used to support new and/or updated modeling and mapping of the study area. The new DFIRMs and FIS were released for the Strafford County portion of the project area on September 30, 2015. Rockingham County products are in progress.